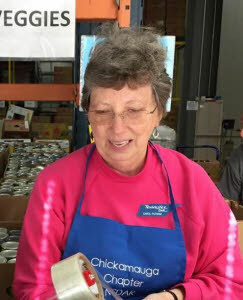 As part of their National Day of Service, 24 member of the Chickamauga Chapter, National Society of the Daughters of the American Revolution, volunteered a morning of labor to the Chattanooga Area Food Bank. 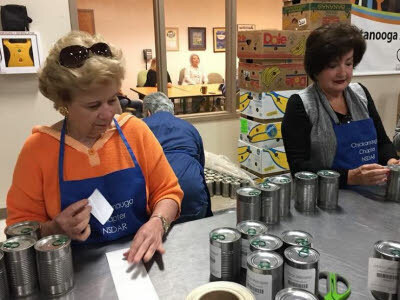 They labeled cans, packed cartons and stacked them for storage, packaged Family Food Boxes, and assisted walk-in customers. 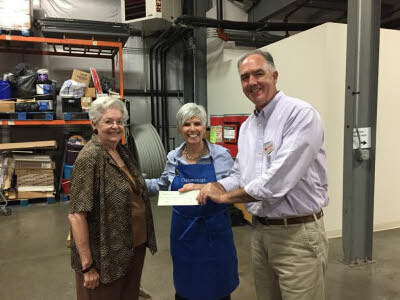 The chapter also contributed $350 and over 30 pounds of non-perishable foodstuffs. 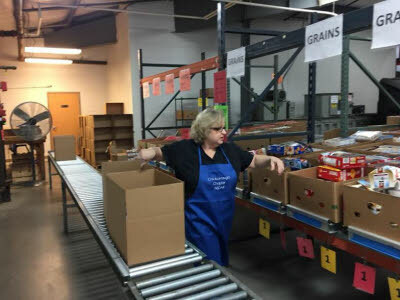 The Food Bank estimates that the chapter’s labor and monetary contribution translates to 8,024 meals for those in need. The National Society of the Daughters of the American Revolution (DAR), a society of women who are direct descendants of Revolutionary War patriots, supports Historic Preservation, Education, and Patriotism. So far in 2017, DAR members worldwide have volunteered over 1.6 million hours in service to America.